Model T Ford Forum: Is this a chevy or fords or what? And year? Just curious. Is this a chevy or fords or what? And year? Just curious. 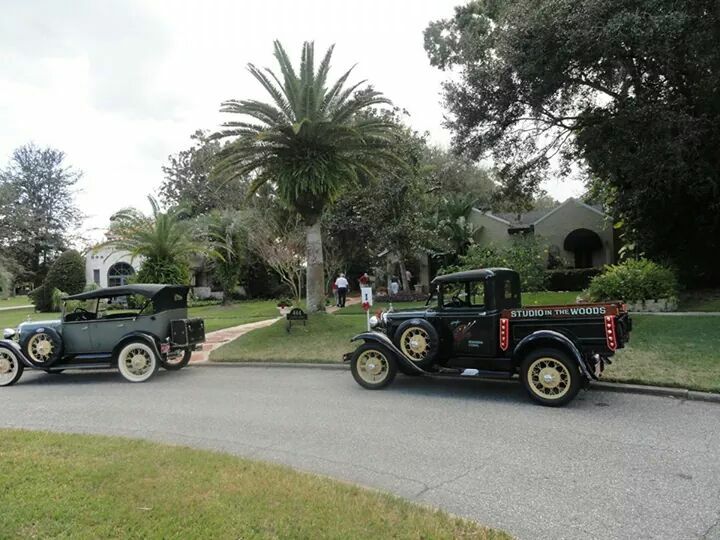 Model T Ford Forum: Forum 2014: Is this a chevy or fords or what? And year? Just curious. 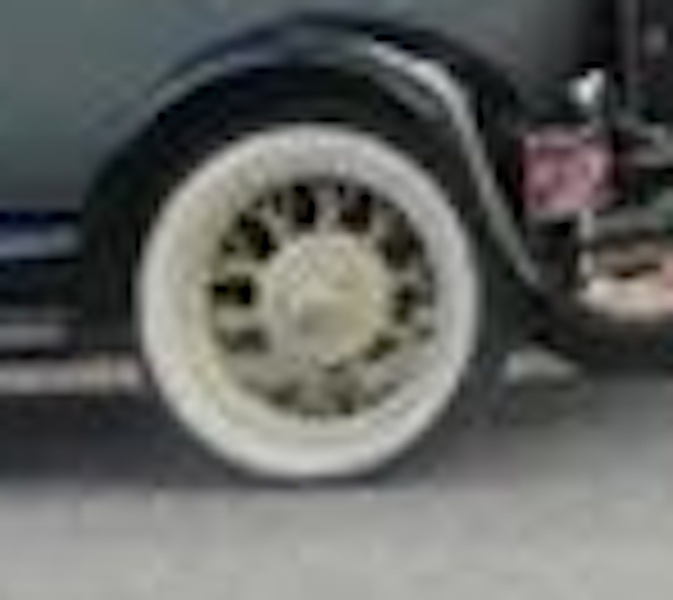 Well, the logo on the spare tire cover is a Ford oval, so it's probably a Ford, maybe a Model A pickup? The Pick-up is a 30-31 but the Phaeton on the left appears to be a 28-29 from the headlights and the cowl. 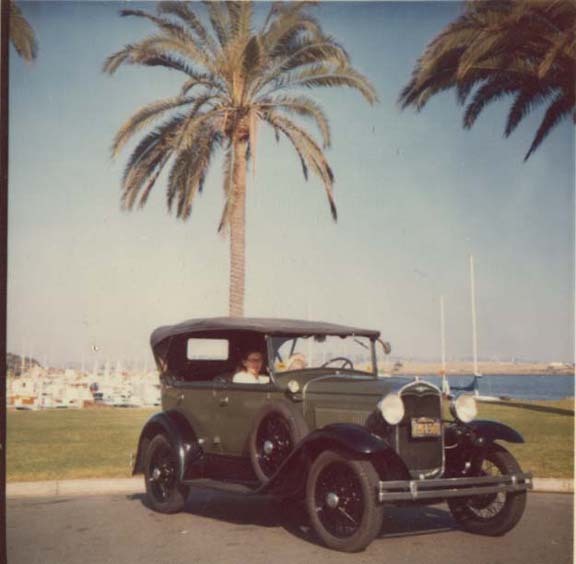 The A touring is likely a '29 (could be late '28) due to door handles and black steering wheel. The pickup is probably a '30 because the box is on a riser like the '28/'29 (and similar to model T boxes). The true '31 model A pickup has a deeper box whose sides extend clear down to the frame level. I am almost sorry to say I know that much about such modern cars. I am not a model A expert. I think you will find that the Touring is a 1930 or 31 . The hub caps look to be the larger ones. Not rear clear in this picture. Enough to tell it is not the earlier 21inch hub cap. Nice to hear from you John. I think if you compare the height of the hood with the dash of the two cars and see the pointed headlights you will agree it is a 28-29. Also the spokes are a little longer on a 21" than a 19". It not a clear picture so it is hard to be sure. 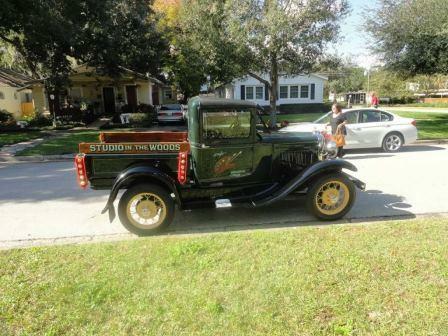 Robert send me your email address and I will take the mystery out of this picture regarding the Ford Model A pickup. I agree, the Phaeton is definitely 28/29. Pickups are hard to tell, they built '29 pickups until June 1030. The one pictured is certainly later than June '30. I would guess it is a '30 until I see a better picture. Yes, my mistake. 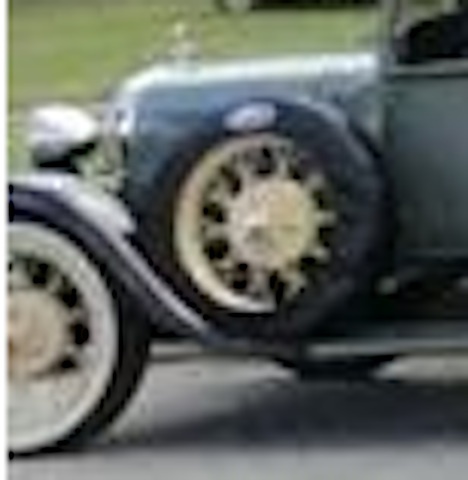 I agree when you look closely the car is a 28-29 Model A. I was only looking at the rear wheel. No apology necessary. Participation appreciated! full stainless came on the deluxe models of roadsters and Phaetons instead of stainless rims black bodies or all black. The wide body pickup has different plain sides and the photo show the raised rib outline which was on the regular bed. Here's a picture of my 31 Phaeton. The 30 and 31 looked very similar. Most conspicuous difference is the splash apron and the radiator shell. Larry is correct on the truck. The trucks didn't have stainless headlight buckets or shells but were outfitted with black plain steel.Stainless buckets and shells were designated for all 30-31 cars not trucks. The Phaeton is probably a 29, best I can tell.